M Quest is committed to carrying out environmentally-friendly operations. The results of our testing programs last season proved to us that it is the right thing to do. Our MR System can recover toxic mercury and lead while recovering precious metals. Our corporate pledge is to remove these contaminants once and for all from mining sites. 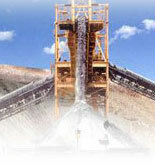 Any mercury that is recovered will be stockpiled until our Phase Two smelter/refinery system comes online. Lead is easy to extract from gravel using gravity separation methods, so it is a considerably simpler process than the removal of mercury. In addition to removing contaminants and using environmentally-friendly technology and procedures in our mining activities, we plan to remove all old, used equipment and many other waste items that have been abandoned at mining sites. The amount of both mercury and lead we recovered from our testing operation during the 2003 season clearly indicates how desperately our unique recovery services are needed in order to clean up the rivers, streams, creeks and lakes�all waterways. The unnatural toxins and contaminants that are present as a result of past mining and other practices have caused environmental damage and must be cleaned up. 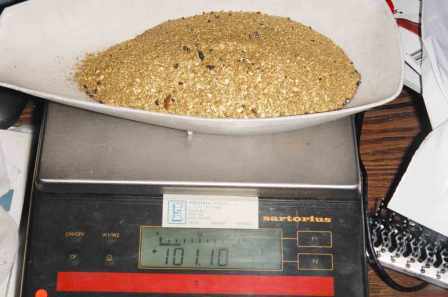 The majority of the gold we recovered during the 2003 season was either partially or totally coated by mercury (Hg) and there was a significant amount of lead (Pb) bird shot in the cleanup as well. In comparison to Burwash Creek, some creeks have been polluted with even higher levels of lead in the form of fishing weights, bullets and bird shot which was used for hunting game birds. Like most creeks, Burwash Creek does not have a source of native mercury or lead, therefore it is a contaminant man has introduced during the first 50 years of mining on the creek. These toxic metals continually discharge into the water from polluted ground. The creek and river waters will remain contaminated and continue to contaminate new areas indefinitely unless the pollutants are removed. 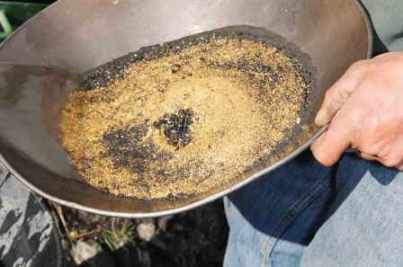 In the past, miners would put mercury in the bottom riffle of their sluice boxes to try and recover some of the fine gold they would lose otherwise. As the pay-gravels and water ran over the mercury-filled bottom riffle, some of the mercury would either splash out into the creek or adhere to the rocks and sand or simply be discharged into the water. 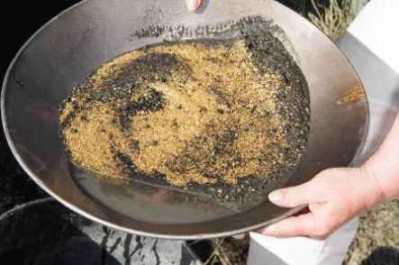 Mercury was used extensively in the past to recover gold from both placer and hard rock mines; this explains why mercury is a prevalent contaminant in most, if not all, previously mined creeks, streams and rivers and the waters they flow into. The respective environmental agencies in both the USA and Canada have detailed listings of these known toxic sites and waterways. The Heritage Trust for Environmental Regeneration (HTrustER) is a not-for-profit federally chartered Canadian Corporation. Its mission is to regenerate human and natural environments in order to create a sustainable environmental heritage for future generations. By working together, M Quest and HTrustER can help each other to achieve our respective goals. M Quest offers a Corporate Bond Program for HTrustER members exclusively to facilitate the development of new mining technologies while also eliminating non-native harmful metals and other contaminants, (i.e. mercury and lead) from land, water, air and human environments.